(Francisco Kjolseth | The Salt Lake Tribune) Gov. Gary Herbert speaks with Salt Lake Tribune reporters on the final day of the legislative session on Thursday, March 14, 2019. If there was ever a doubt as to whether Utah's politicians represent the people of Utah or the interests of their big campaign donors, House Bill 220 should eliminate that doubt. The bill allows the storage of new kinds of nuclear waste at the EnergySolutions facility in Clive, west of Tooele. The waste discussed in this bill is currently class A, but becomes hotter over thousands of years as it evolves into class B and C waste. This is the type of waste which was rejected by the people of Nevada at the Yucca Mountain underground storage site. Currently, some of the hotter waste is stored 2150 feet underground at the Waste Isolation Pilot Plant in New Mexico. But, even there, they do not accept the waste HB220 asks Utah to store. That waste is currently maintained at nuclear plants in dry cask storage. But Utah legislators genuflected to their campaign donors (only two legislators who received donations from EnergySolutions voted against the bill) and passed HB220. Gov. 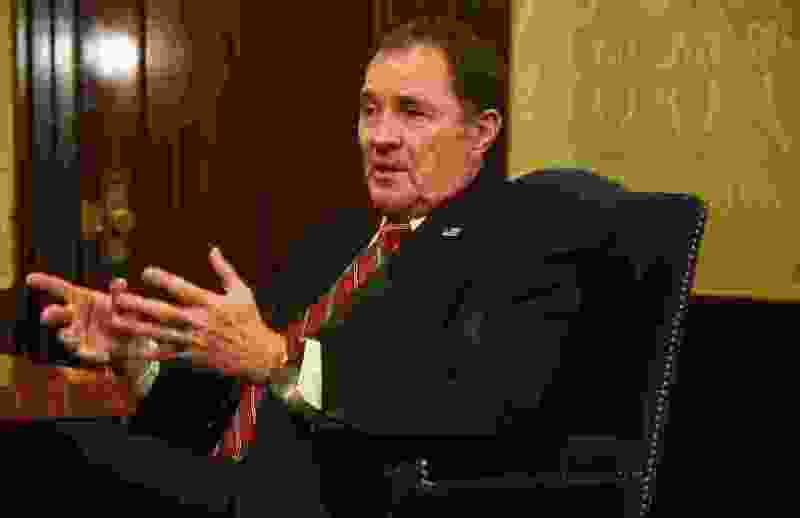 Gary Herbert then allowed it to become law without his signature. His reasoning: the bill requires the federal government to take responsibility for the site long term. Translation: EnergySolutions will pocket huge profits from storing highly radioactive waste in our backyards — waste which will become more and more dangerous for thousands of years — and, when EnergySolutions goes bankrupt or ceases operations, you, the taxpayers of Utah, along with the taxpayers of the rest of the country, will have the privilege, through your tax dollars, of paying the hundreds of millions of dollars it will cost to clean up that site. Wouldn't it make more sense to require companies that produce these environmentally disastrous sites to post a bond in the amount needed to clean up the site and to continue adding to that bond as the cost of cleanup escalates as they accept more waste? Essentially, this policy amounts to a government-funded subsidy of EnergySolutions which will amount millions of dollars transferred from the pockets of taxpayers to the pockets of EnergySolutions stockholders over the years. If this strikes you as poor policy, try voting in such a way that the Legislature is no longer controlled by a single party. Only then will you get policies which are environmentally and economically responsible.